Osteoarthritis (OA) is the most common type of arthritis. About 31 million people in the U.S. have it. And experts say a lot of those people have big misconceptions about the disease, its causes, and its treatment. Don’t believe any dusty old myths. Here’s a rundown of what’s fact and what’s fiction. Myth: Osteoarthritis is a normal part of aging. Sure, the odds of having OA get higher as you get older. Over the years, wear and tear on your joints adds up. But that doesn’t mean the condition is everyone’s destiny. Lots of older people never get OA, and some young people do. Experts say this myth is especially harmful. It makes people think that there’s nothing they can do about their joint pain. That’s not true. Myth: You can’t prevent OA. You can’t change some of the things that make OA more likely, like your age, genes, or that old injury from high school. But you can lower your chances in other ways. Aim to get regular physical activity and stay at a healthy weight. If you already have OA, those things can help slow down the damage and lower your chances of serious joint problems later. Fact: Losing just a few pounds can help with OA symptoms. Weight loss doesn’t have to be extreme or dramatic to make a difference. If you’re overweight and lose just 10% of your body weight, you can ease your arthritis pain by 50%. Even more modest weight loss can help, too. For every extra pound you drop, you’ll reduce the pressure on your knees by 4 pounds. Myth: The more you use your joints, the more they’ll hurt. Spending life in an easy chair may be the worst thing you can do for OA. Physical activity will ease your pain as well as help you stay flexible, strengthen your joints, and help you control your weight. Choose low-impact exercises that won’t be hard on your body, like swimming, walking, and tai chi. Fact: Strong muscles can ease OA pain. Why? If you build up the muscles around your joints, you’ll protect and stabilize them. You can start with simple exercises at home. Lift soup cans in your hands or do leg lifts while you watch TV. Get a list of safe exercises from your doctor or a physical therapist. Myth: Cracking your knuckles causes arthritis. If you’re a knuckle cracker, fear not. While you may annoy your family and co-workers, you won’t hurt your joints, make them swell, or cause OA. That crackling sound is harmless. You’re just releasing gas that builds up in the area around the joints. Fact: More women have OA than men. Women are more than twice as likely to get OA as men are. They’re also more likely to have joint damage from the condition that happens quickly. Why? Experts aren’t sure. But many suspect that hormone levels and genes play a role. 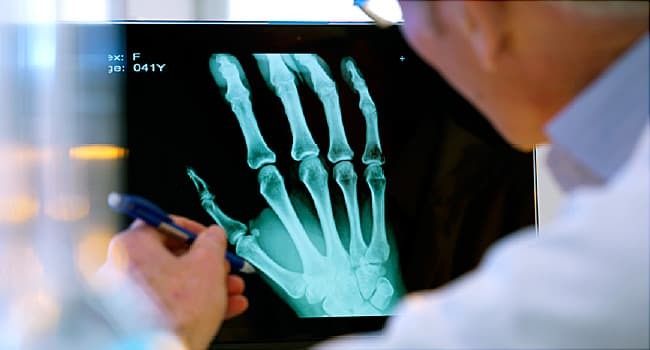 Myth: Osteoarthritis isn’t a serious health problem. A lot of people downplay the impact of OA, maybe because it’s so common. But life with arthritis can be much more than the occasional achy knee. It can cause permanent damage to your joints, make it harder for you to get around, and keep you from working or doing the things you love. So if you have symptoms, see your doctor. Come up with a treatment plan. There’s so much you can do to ease your pain and prevent problems in the future.